Apologies for the dead air… I was feeling quite under the weather the last week and when I did rallied, I rallied in the direction of my summer to-do list. Anyway, the winners from my last post’s competition were Kimberly and Kim. Congrats! Here’s what I’ve been working on lately. 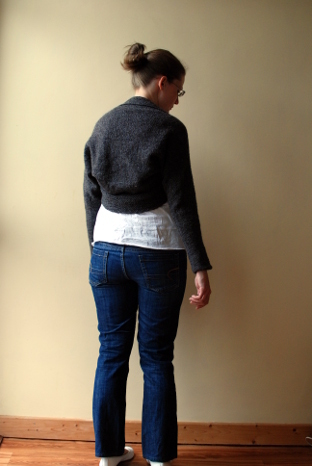 I knit the entire body and one sleeve of the Honey cardigan only to completely run out of yarn. I got a little bit more but as you can see, the colour was way off. As it turned out, when I tried it on with just the one sleeve, I realised that I really didn’t like how it looked on me and I didn’t want to finish it. So I’ve ripped it out and I look forward to knitting it into a Hudson sweater. Sometimes it’s best to face facts. 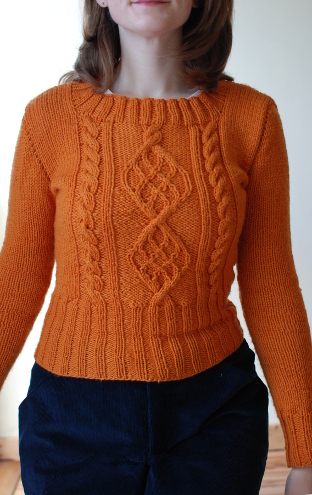 Speaking of reknits, I became so infuriated by the errors in my orange Chuck sweater that I ripped the whole thing out to the armholes and reknit it. It had many, many errors in the front chart and the sleeve caps were awful. It never sat right no matter what I wore under it and consequently, only wore it once. 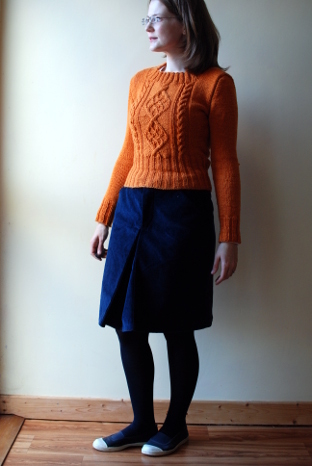 I adore the sweater as well as the colour so I am going to give this another go. 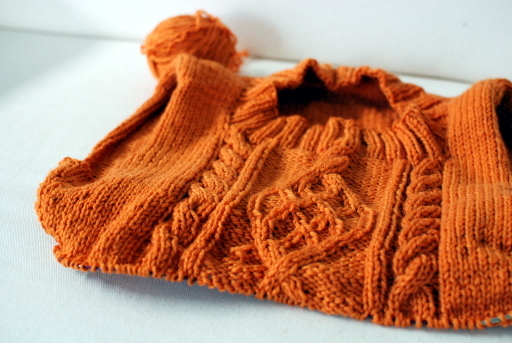 Yet another reknit! Well, sort of. I fell in love with Helene about the time we left on honeymoon and started knitting it up in a woolly sport weight. The yarn in itself is wonderful but not suited to such a drapey design. It languished until I released it about a week ago. 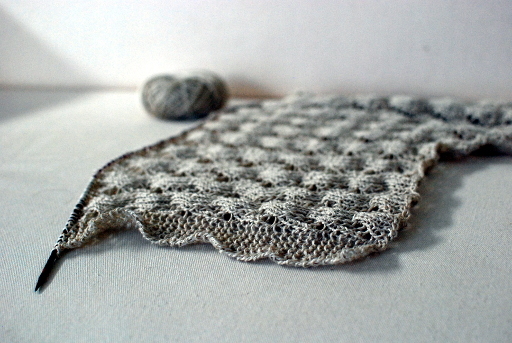 I think the yarn will be fantastic for something else and in the meantime, have cast on in a linen. Speaking of drape, here’s my Biston shug. 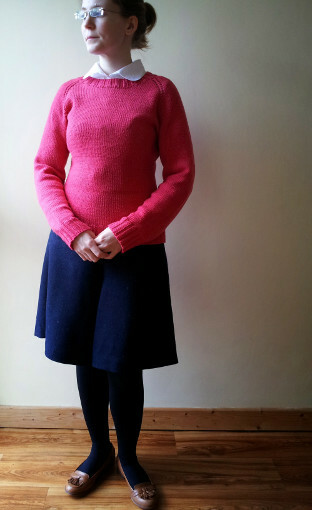 It’s from Wool People 3 and I knit it up in Jamieson & Smith Jumper weight. I think it took about 4 and a bit of the big balls (I think they’re 50g?). I made a few modifications. I knit the sleeves in the round and then turned them inside out. 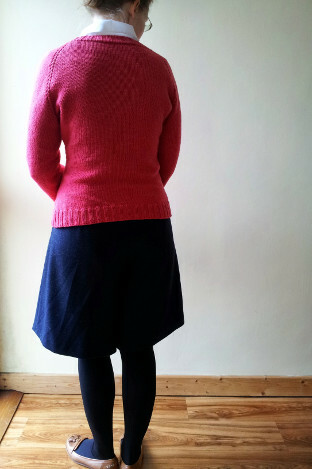 I also didn’t knit the back as wide as directed because I have really narrow shoulders. Even as it is, it’s a bit lumpy. The border was a pain to knit but it was worth it. I blocked it and found the border simply did not want to behave at all. So, I reblocked it there the other day and stretched the life out of it. The result is more drapey. 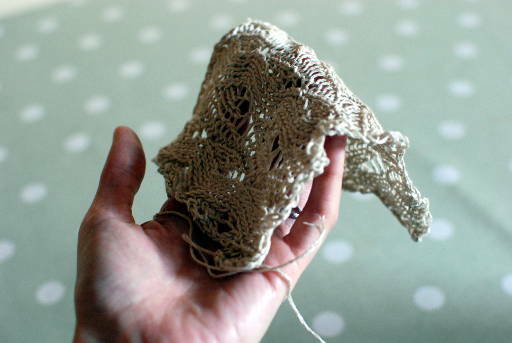 I think, maybe, for a more drapey effect overall, you could go for a slightly thinner yarn. I love this colour, though, and am a big fan of the J&S wool for its sheer wearability (damp-proof, always the right temperature, perfect neutral colours, feels like it’s indestructable). I finished up my Welsh Country socks. 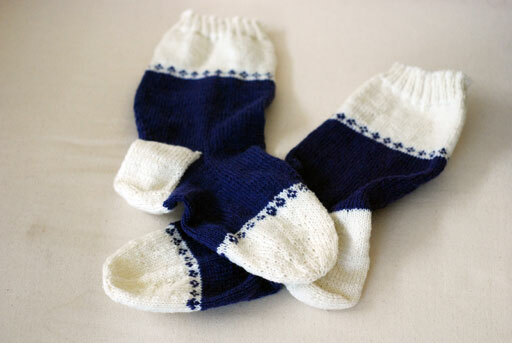 Pattern: Welsh Country socks from Folk Socks by Nancy Bush. A great book full of practical and pretty socks, accompanied by fascinating reading about their origins. Yarn: Brown Sheep Wildfoote. 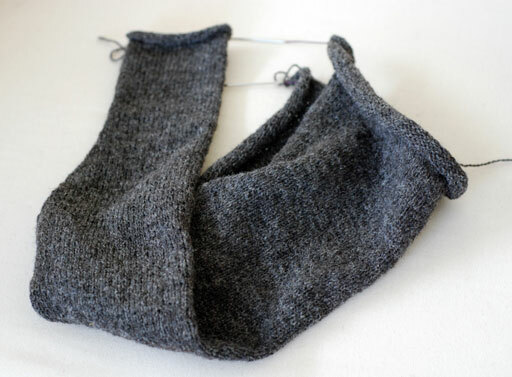 I am going to stick my neck out and say that this washes even better than Opal sock yarn. 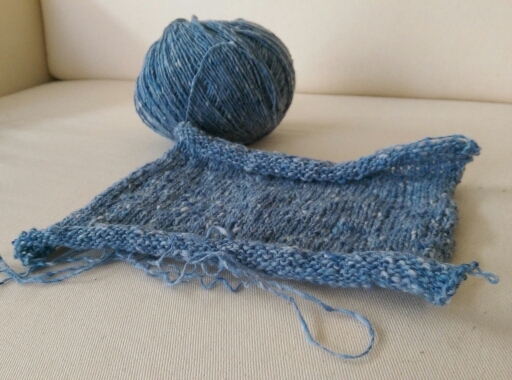 It is a true workhorse of a sock yarn and I love it. I buy mine here at This is Knit and it’s cool knowing that I’m supporting local business both here and in America (Brown Sheep is also a family run business and when I worked at TIK, were great to deal with). 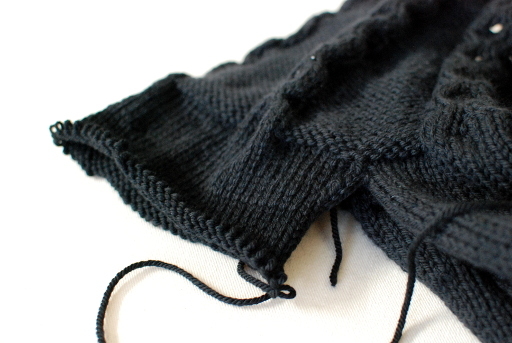 Slogging away on my Biston shrug. It reaches roughly halfway across my back now and I’m nearly finished my second ball of yarn. I was kind of worried because somewhere in my head, I thought I only had four for the whole project but it turns out I actually have six. Phew! 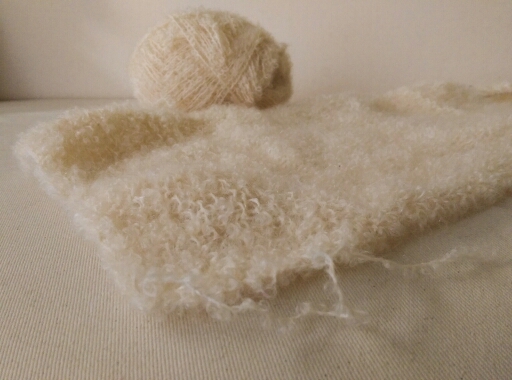 I love this yarn – light and airy but still warm. I was working on the blouse I’m making for my Mum’s birthday today. Ok, her birthday was almost ten days ago but I had the muslin ready to try on for the day itself. 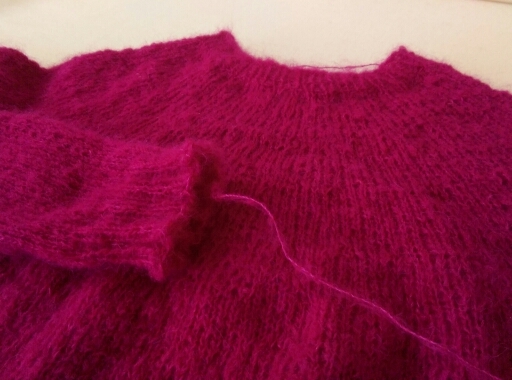 Only minor adjustments were required and for some reason, I added extra room to the centre front at the neckline. There was obviously a crossed wire! The rest of my adjustments were perfect but the wider neckline had to be fixed. Mum unpicked the collar for me, I cut a new collar and stand, trimmed down the centre front and restitched it. I got most of it done in one sitting last night and finished off the collar this morning. 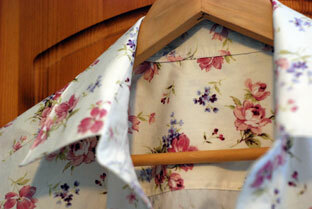 I rather enjoyed all the topstitching as when neatly done, it gives a lovely finish. The pattern is the ‘Amazing Fit’ shirt pattern from Simplicity and definitely lives up to the name. Most of the finishing that I show here is detailed in the pattern but unfortunately not with enough clarity to make it straight forward for a beginner. 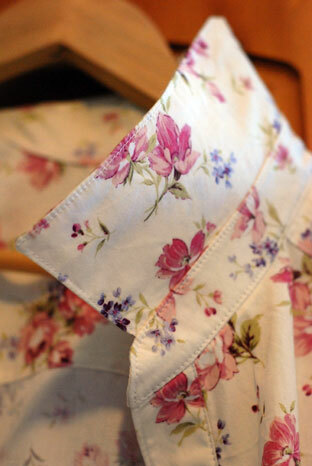 There are many, many tiny things that you can do to make a better finish; I’ve been gathering little bits of extra information with each shirt I sew to the point where I feel now, I am close to getting a very good finish. Not quite there yet, but getting there. Once I got the topstitching done, I ploughed on with a cuff. Cuffs are very time consuming but important to do well. I think that the more exact you are, the easier it is to get two that look the same! I will find out soon if I was exact enough this time! 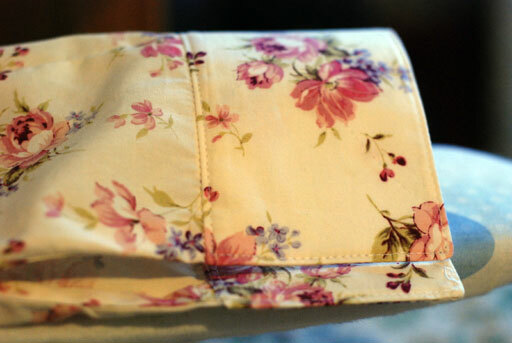 One more cuff and the buttonholes remain. I’m really looking forward to seeing her put on the finished thing!